I was once watching a film where one cop betrays another—this is the event that spurs the story into action. Afterwards we find out that these cops were best friends. I don’t recall one scene of them together before this big scene. In fact, the betrayed cop had to say out loud, “But we’re best friends.” That is very sloppy construction. The moment had no emotional impact at all. What was missing was a first act. Act One has many functions, not the least of which is providing context that will later elicit an emotional response from the audience. 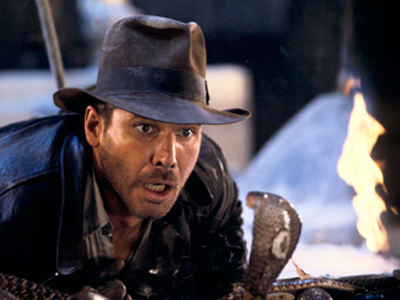 Remember in Raiders of the Lost Ark when Indiana Jones looks into a pit of snakes, and how the audience responded? I saw the film when it came out and there was an audible “Uh-oh” in the theater when Indy saw those snakes. Why? Because we found out in Act One that he hates snakes. So later when the snakes showed up, the crowd had an emotional response. Aspiring screenwriters have learned, since the release of Syd Field’s book Screenplay in 1979, that the first 25 to 30 pages comprise the first act. Knowing this has had the effect of training writers to do little more than kill time until the big event happens that gets the movie going. Or they will skip that “filler” at the beginning and cut to the chase with an action sequence. I was even told once by a former agent not to write first acts—that they were a waste of time. But here’s the deal: writing a story that has no first act is like building a house without a foundation—it will fall apart no matter how well the rest of the house is built. Although this is a clumsy way to tell a joke, you might still get a laugh if the listener has all of the information before the punch line has been reached. The joke would never work if the joke-teller got to the end, and after the unfunny punch line then explained about the missing information. But, as I mentioned in my opening paragraph, this is another thing that I see often—information given after the point when it can’t have any emotional impact. In the old days they really understood first acts. When I say “the old days,” I mean until the mid ’80s or so. There are really great examples in classic cinema. I’m talking about films by Billy Wilder, Alfred Hitchcock, Frank Capra, etc. Casablanca has a great first act. Recently, I blogged about the film Tootsie and its flawless first act. Today, the first act is almost extinct, but it does show up from time to time in films made after the early ’80s. 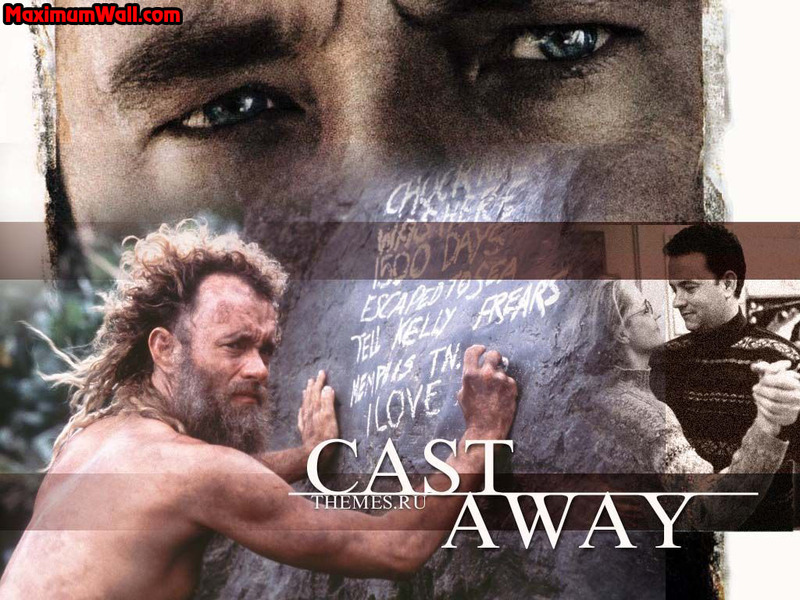 One example is the film Cast Away. I know that there are people out there who might not have responded to the film, but I am asking you to look past that to see my bigger point. One person I know personally who did not like the film is my uncle, Dwayne. I remember the film came up because he had caught it one night on cable a few nights before and he wouldn’t stop talking about how bad it was, and how it was only about Tom Hanks stuck on an island for two hours. But how could a film about a guy stuck on an island have impacted so many other people? So, I asked him if he had seen it from the beginning. His answer did not surprise me—he said that he’d missed the beginning. He had missed the first act. First, the film has a great thematic opening image. 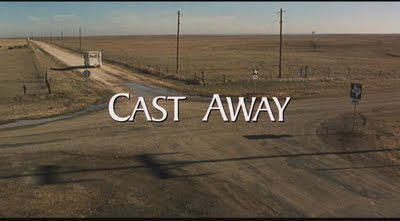 Many films start with a generic image, but Cast Away starts right away with an image that matters to the story. Trust me, when people see a film or read a screenplay that knows what it is about from the very beginning, they know that they are in the hands of a pro. The image is a vast open space. Isolation. This is a desolate landscape. This is what the film will deal with—isolation. Loneliness. Nothingness. This same shot follows a lone FedEx truck, small in the frame, as it comes to an intersection—a crossroads. This matters. At the end of this story, Tom Hanks is at a crossroad in his life and must chose the correct path. In fact, he ends up on this very road to nail the point home. This kind of on-the-nose precision is something amateurs run from. They would rather be clever rather than clear. Not pros—professional storytellers rejoice when they find a clear way to communicate with an audience. 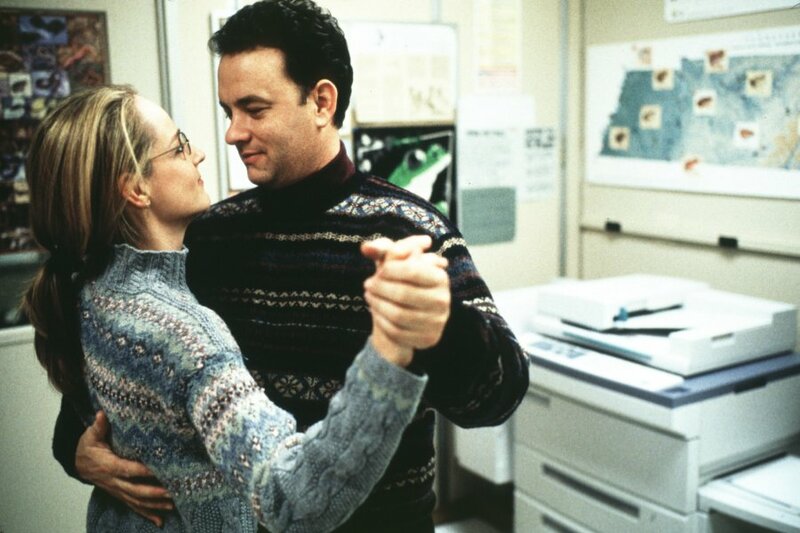 When the film came out, people complained that it was a long ad for FedEx because Tom Hanks’ character works for the overnight courier service. But why did he work for an overnight courier service? Because it was very important. Right away the film states what it is about. Chuck is a man ruled by time, but what the first act shows us is that he doesn’t make time for his life. He is always rushing. He doesn’t take the time to get the number of a doctor to help a friend’s wife with her cancer. Not because he’s a mean guy, but because he thinks he has all the time in the world. At a family dinner with his girlfriend’s family we find that it is an ongoing joke that Chuck has taken his sweet time proposing to Kelly. He is losing track of time the closer he watches it. In fact, Chuck has even timed how long it took for the family to bring up the subject of marriage—14 minutes, by his watch. Chuck is teased for wearing a pager all the time, always on call, but he also has a bad tooth he should have looked at—and never seems to get to. This is followed very quickly with Chuck being called away from Christmas dinner to go to work. It is clear that Kelly is unhappy with this. When Kelly drops Chuck off at the airport, because he must fly away for his job, Chuck gives Kelly a small box for Christmas—presumably an engagement ring. But Chuck stops short of proposing and tells Kelly to wait, that she can open it on New Year’s Eve. With that Chuck kisses Kelly, boards his plane, and turns his back on time. It should be noted here that in some amazing precision of storycraft Kelly's gift to Chuck is a pocket watch. Not just that, but on the inside of the watch is a picture of Kelly. So Time and Kelly are linked together in a single image. While in flight the plane hits a violent storm and crashes in the ocean. 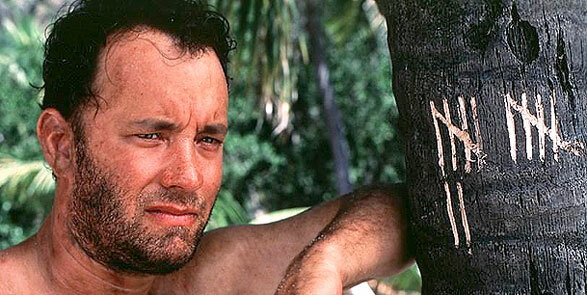 Chuck, the only survivor, finds himself alone on an island. One of the first things he does is pull out his pager. It is waterlogged and obviously broken. Now Chuck, who did not have enough time, has nothing but time. End Act One. In the second act we see that what keeps Chuck alive is his love for Kelly—his desire to get back to her. It has become clear to Chuck how he should have spent the time he had. 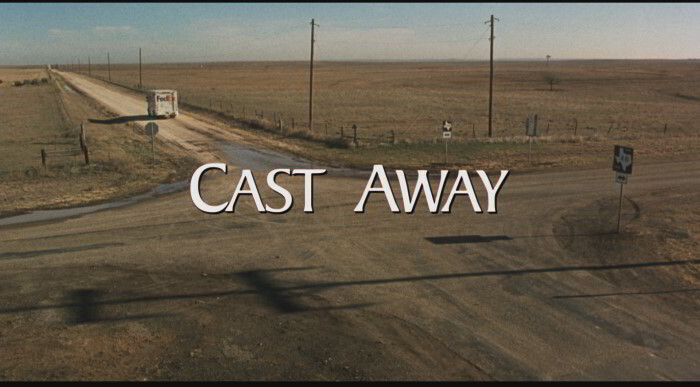 The first act of Cast Away makes everything that follows matter. It creates emotion in the audience. I believe my uncle could not connect with the character of Chuck because he did not have a context to understand what he was seeing. All he could see was a man alone on an island, not someone learning a lesson. But for most people who saw the film it did work. The film was a huge hit. The screenwriter, William Broyles, Jr., knew what he was writing about. He was saying that time is precious and fleeting and that we should spend it wisely. The story was telling us that we must never turn our backs on time. That we must never commit the sin of losing time. Cast Away has a brilliant first act and studying its construction further would be time well spent. Get to it! Time’s wasting. Why haven’t I written this post before I have no idea. I have talked all around Marty without writing directly about it. Just an oversight, I guess. Sorry. I’m not sure how many times I have mentioned the great Paddy Chayefsky in these posts, but I’m sure it’s plenty. Whatever the number it isn’t big enough. The man was The Man. He was the dramatists’ dramatist. He was the best of the best. Paddy was one of the cluster of great writers who wrote for early television in 1950s. There were shows called Playhouse 90, The Philco Television Playhouse, and Kraft Television Theatre. These all featured plays written for television. The writers of these plays are some of my writing heroes: Rod Serling and Reginald Rose at the top of the list, along with Chayefsky, because their work was so profoundly humanistic. 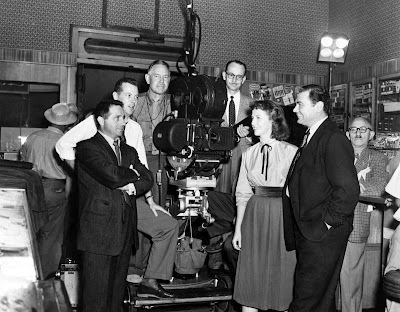 Marty was one of these television plays, but was popular enough to made into a film. Marty is about a single man living in New York City, in a traditional Italian-American neighborhood, with his mother. Marty is told that he should be ashamed of himself for not being married. He’d like to get married, but can’t connect with women. Marty is about a man that finds out that he has worth. He’s not a handsome guy, but he is a compassionate one, and in the end that is what connects him with a woman. It sounds so simple – even trite – but it is a masterpiece. 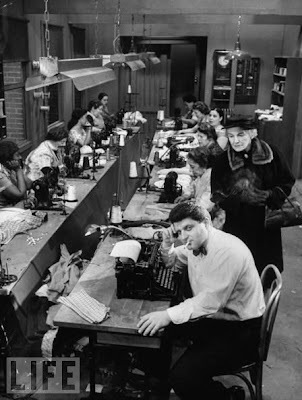 Chayefsky believed that television was such an intimate medium that small drama played best on it. Marty is a small drama about real people with real concerns. 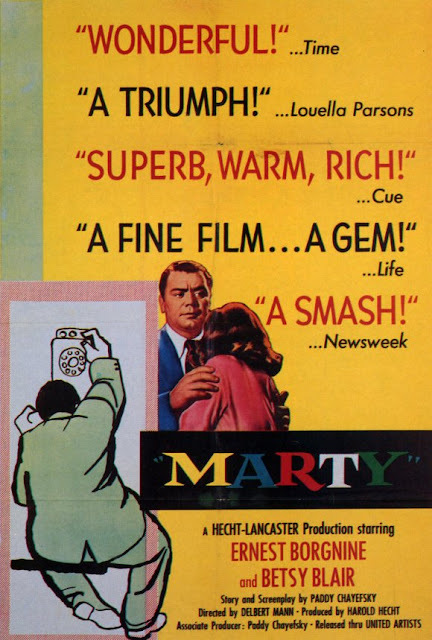 Marty is a person the audience can connect with and this small drama is big enough for the big screen. We are moved by the honestly of the writing. It is sometimes so painfully honest that we cringe with empathy. Our hearts go out to Marty. There is a “rule” that screenwriters should not write scenes where people talk on the phone. I understand why the rule exists – these scenes can be boring and static. They can be a cheap way to get out expository information. 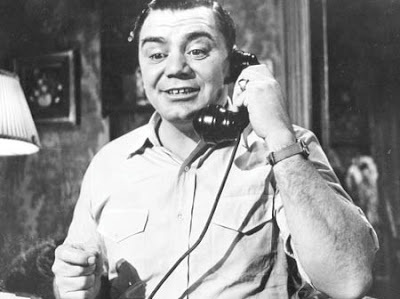 But if you want to see a scene that takes all the validity out of that “rule,” watch the scene in Marty asks a woman out over the phone. It is masterful. I directed that scene once and it was the simplest thing I ever directed – it was all on the page. All the actor had to do was read it. Marty was cited at the time for its naturalistic sounding dialogue, but that is a relatively easy thing to master. 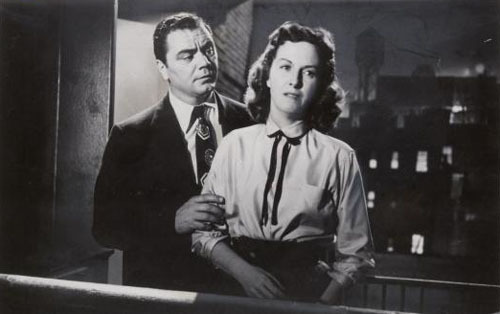 What’s hard is getting to the emotional truth below the lines, and of course, few people understood how to structure scenes and stories as well as Chayefsky. If you want to know more about how, and why, Paddy Chayefsky constructed stories the way he did, I will remind you, for the very last time I promise, to read his book Television Plays. I cannot stress enough just what a valuable resource it is. Few people are as articulate about how they do what they do. Anyway, treat yourself – see Marty. If you are not moved, you may want to remove that chunk of coal where your heart used to be.